I previously linked to ProtonMail back in March. I've been using it sparingly for the past couple of months and the service is proving to be a dependable and convenient tool for secure email. ProtonMail requires two layers of login to access the mailbox. First the account login and then the mailbox decryption. This is true of the iOS app and the web application. Without the mailbox encryption key there's no way to get access to existing messages. I know this from experience. Even with the account login credentials, the most you can do without the encryption key is to delete the mailbox and start over. 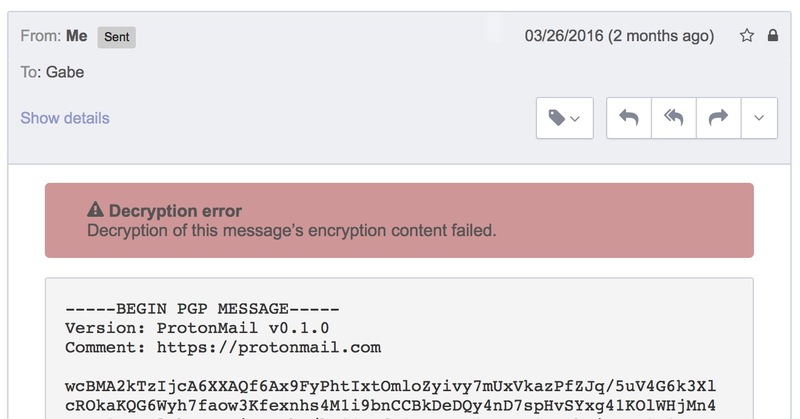 The web application for ProtonMail is well designed but poorly documented. Support for label tags is nice but there don't seem to be any keyboard shortcuts. The iOS app is sufficient. Push notifications occur within a minute of receiving a message and swipe gestures make it quick to mark spam or delete new messages. It lacks a lot of bells and whistles but it does 95% of what I need to do with email. 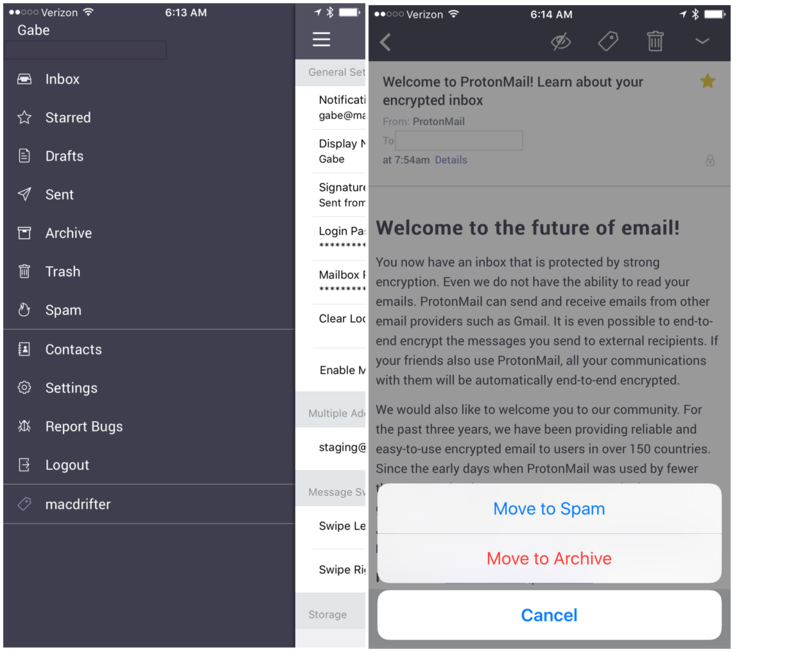 As with the web application, my favorite feature of the iOS app for ProtonMail is the ability to set a message as private with an expiration date. On the ProtonMail side it's easy. A couple of clicks or taps to set the options and then I enter a password. On the recipient's side, it shows up as a nicely formatted HTML message with a link to open it in a browser. The recipient then enters the password to access the message and attachments. I've used this several times to communicate with attorneys and business collaborators. The most sensitive part of the exchange is getting them the password to unlock the message. But once they have the keys, the message opens in a browser, looks great, and includes access to all attachments. My biggest complaint is that there's no obvious way to see what messages I've set for expiration and if they are still active. I'm still using the free ProtonMail account because my needs are minor. That allows for 150 messages per day and 500MB of storage. 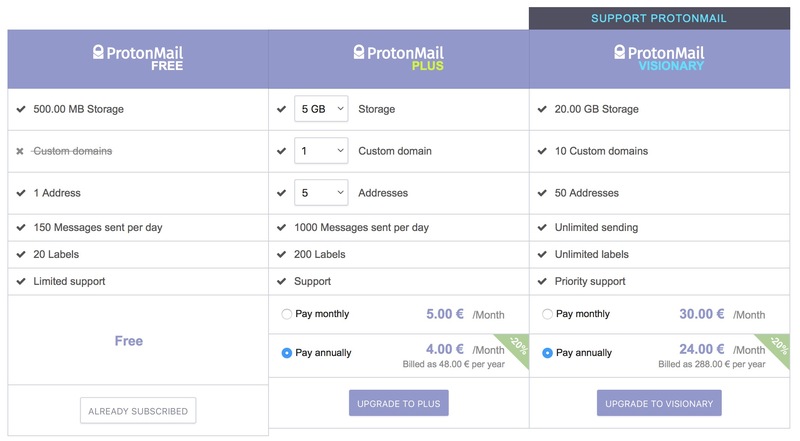 ProtonMail is on my short list for new subscription services though.